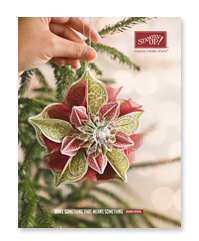 Have you looked through the new Holiday Catalog yet? If not, make sure and click on the link in the sidebar to check it out. This card features the new stamp set Evergreen from the Holiday Catalog. 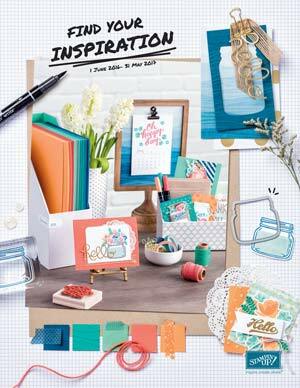 Other stamps used are the frame from Papaya Collage and the builder wheel Good Cheer. You need a little sparkle on a Christmas card so I spritzed the card with Champagne Mist shimmer paint mixed with rubbing alcohol. 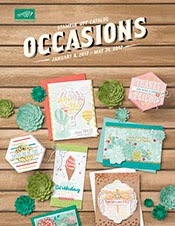 Have you noticed the new Stampin' Spritzers in the main catalog? They are perfect for this and only cost $2.95 for two! Added a little stampin to the inside and a little spritz of shimmer.